Miyuki Ishikawa was a Japanese serial killer and midwife that was born in 1897 in Miyazaki, Japan. Miyuki is believed to have several accomplices that helped her to carry out her assumed killing of over 100 infants in the 1940s. Tokyo High Court gave her a sentence of four years in prison for her massive amount of murders or deaths that she have caused. Miyuki has killed the most people in Japan and received one of the lightest punishments. Miyuki graduated from the University of Tokyo and later married Takeshi Ishikawa, but they did not have any children. She was an experienced midwife that held a job as a hospital director in the Kotobuki maternity hospital. Miyuki had an abundance of babies in the maternity hospital she worked at in the 1940s and discovered that many parents were poor and could not afford to raise their children without financially struggling. Miyuki could not provide/help the children because there were not enough charitable services. Miyuki decided that the only way to solve the problem is to neglect several infants resulting of many of them dying from neglect/abuse. It is not certain how many infants died from Miyuki neglecting their needs but it is estimated that there were about 103 babies that died because of her. A lot of the other midwives that worked at the hospital ended up resigning because they did not like what Miyuki was doing to the infants. Miyuki and her husband Takeshi went on to trying to make money for the murders she was committing by asking the parents for large sums of money. She/they told the parents that the amount of money they will be paying now is less than the expense they will pay to take care of the children. Doctor, Shiro Nakayama helped Miyuki and her husband by giving them falsifying death certificates. There were similar cases that had occurred in Japan before Miyuki"s murder spree where several people in Itabashi were accused of killing 41 foster children in 1930. Hatsutaro Kawamata was arrested in 1933 for killing about 25 foster kids. The Japanese government knew that there were several murders of children but did nothing. Autopsies performed on the bodies of the five babies proved that they had not died of natural causes. Miyuki and her husband Takeshi were arrested on January 15, 1948, after two officers accidently found the remains of five infants on January 12, 1948, which was autopsied and proven that the babies did not die from natural causes. The children were left at the hospital, and Miyuki claims that it was the parent"s fault for the children"s death but Yuriko Miyamoto said that it was discrimination. Police continued their investigation and found over 40 dead bodies in a mortician"s house and about 30 corpses in a temple. The authorities could not determine exactly how many victim"s lives were taken by Miyuki because of the numerous death and range in time/span of death. The Tokyo District Court sentenced Miyuki to eight years in prison, and her husband Takeshi and Dr. Shiro Nakayama were sentenced to four years each. 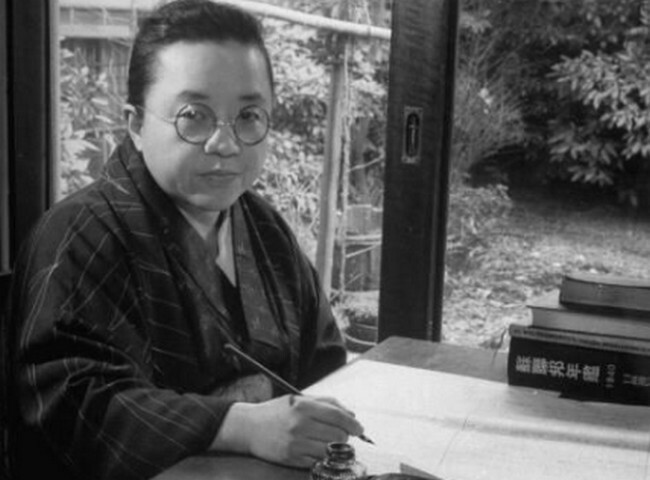 The Tokyo High Court revoked the original sentence for Miyuki and her husband in 1952 after they appealed their sentences. Miyuki was now sentenced to four years in prison and Takeshi was sentenced to two years. Miyuki Ishikawa serial killer is a female serial killer. Oni-Sanba (Demon Midwife) is a female serial killer.